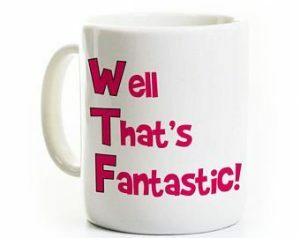 Today was a prime example of “WTF ~ Well that’s Fantastic”. I’m not sure about our colleagues in other parts of the province, but the new “normal” for my day is crossing my fingers that all staff absences are covered by occasional staff. I find myself checking the system before I go to sleep, when I first wake up and again before I leave the house. 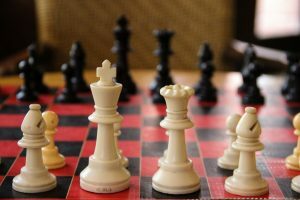 At that point, if there is still an unfilled job, my thought process on the way into work becomes which chess pieces on the board will have to be shuffled today in order to ensure maximum student safety with a less than full force of staff members. There have been days that during my 20 minute drive into the school positions have magically been filled or more often than not, more openings have been created. This morning, as I drove into the school, I actually allowed myself to enjoy the countryside drive as I listened to CBC radio. I had checked the system and we were good to go. “All hands on deck” is a phrase that I love starting my day with and I was positive that was how today was going to start. And indeed it did….until 8:50 am. At that point our admin assistant popped her head into my office and sheepishly shared that the occasional teacher who had picked up one of our open assignments was refusing to teach in the afternoon. “She says that she only teaches primary”. For our staff member who was absent, her day is spent with a grade ½ class in the morning and then with half of a grade 7 class in the afternoon (15 lovely students). My initial reaction was one of disbelieve and then exasperation ~ one of those WTF moments. As I went out to the main office, my demeanour quickly softened as I explained that we were in need of her help ~ if she could support the grade 7s in the afternoon (only 15 of them), we would truly appreciate it. Her response was a curt and abrupt, “I only teach primary”. She was refusing to teach the grade 7s and proceeded to school me on how the posting should have been reflected in TVARRIS. I’ll admit at that point my demeanour was not overly “soft” as I returned to my office and back to the “chessboard”. Now what to do? At that moment, one of our grade 1 educators was walking past and noticed my look of annoyance. She inquired as to the cause and before I could finish sharing the full scenario, she piped up and said, “I’ll teach the grade 7s this afternoon and she can teach my grade 1s”. This selfless, tremendous offer poured out without a moment’s hesitation. For readers who may not be overly familiar with our situation at Sir Arthur Currie PS, we are a brand new school ~ we opened our doors in September. This grade 1 teacher does not have the luxury of knowing these students as their former teacher. Her interactions with the intermediate division have been limited as a result of our exciting but chaotic first year and yet none of that phased her. Needless to say, we took her up on her offer and then at the end of the day, we listened with great interest as she shared her interactions, her insistence that our grade 7s enjoy a Read Aloud prior to embarking on their writing task and her explanation of the proper way to use a wobble stool. And as she laughed her way through the explanation and garnered praise from her colleagues for her wonderful offer of help, I couldn’t help but think to myself ~ WTF ~ Well, that’s FANTASTIC!!! I bet we’ve all had those WTF days. Would love to hear about yours!